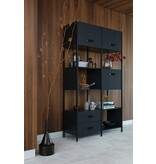 Splendid cupboard the Legacy from BePure. 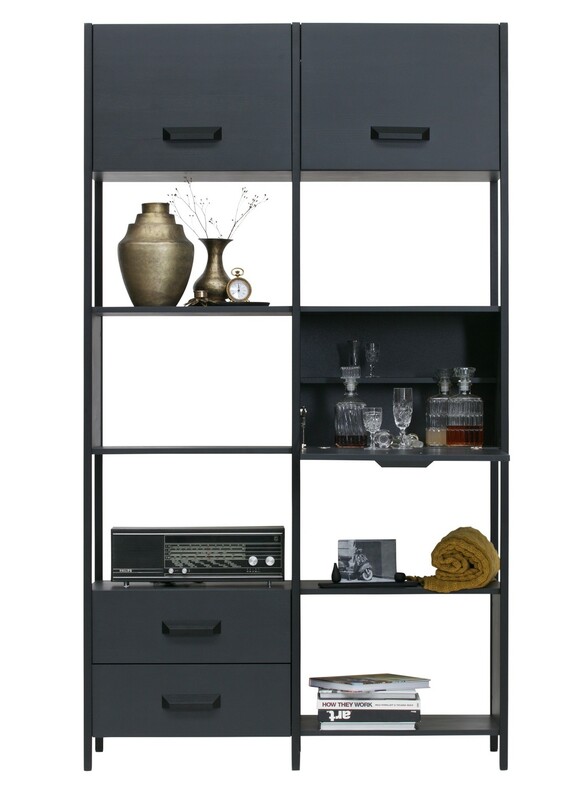 A nice, modern cupboard with a nice staggering layout. 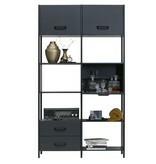 In addition, also equipped with closed wooden cupboards and drawers. 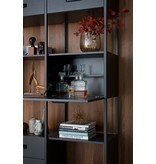 Nice to show your most beautiful things and also neatly store the other items. 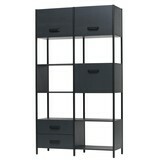 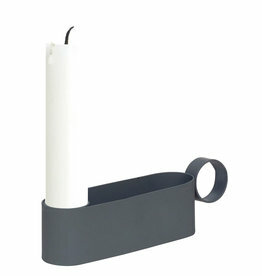 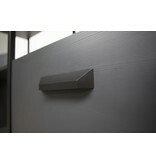 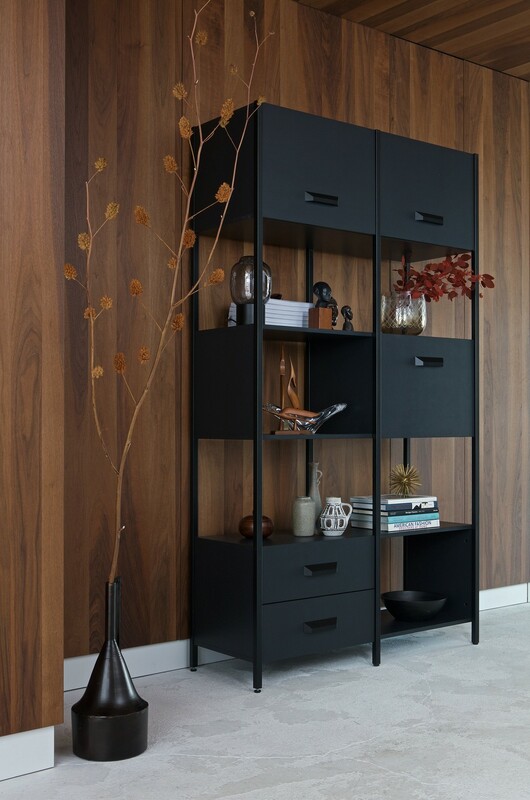 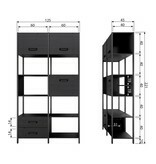 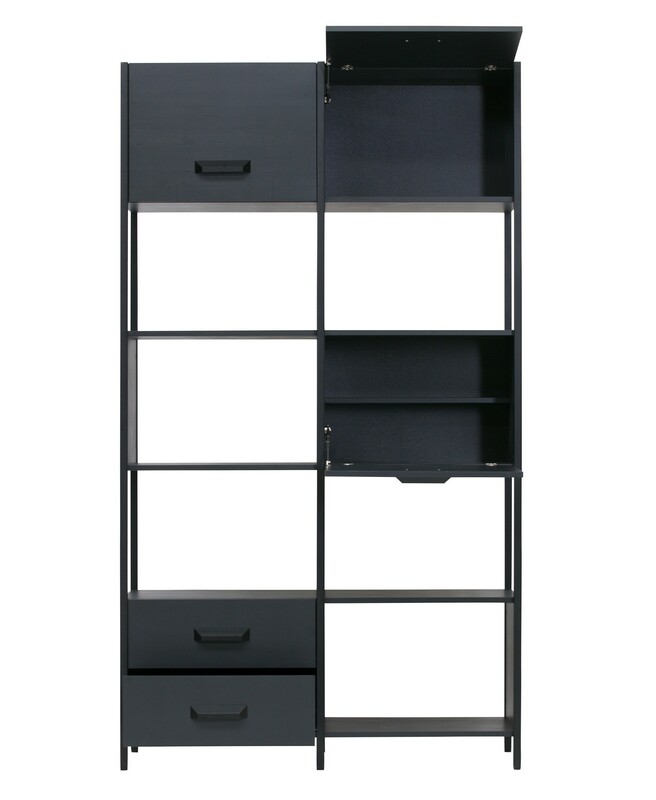 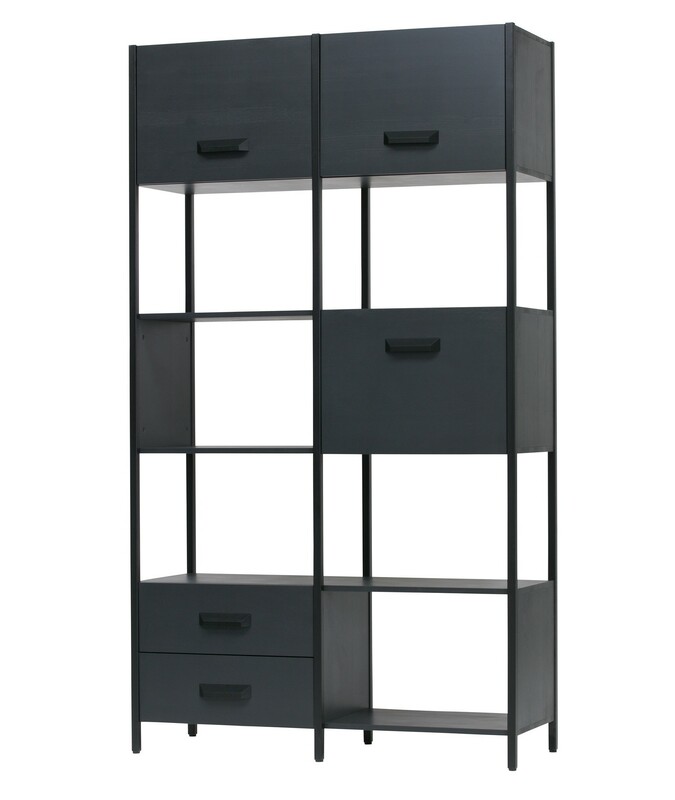 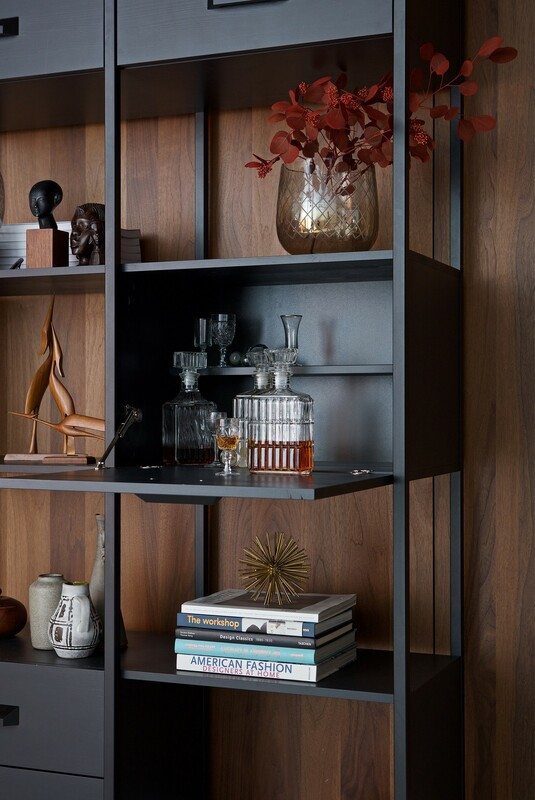 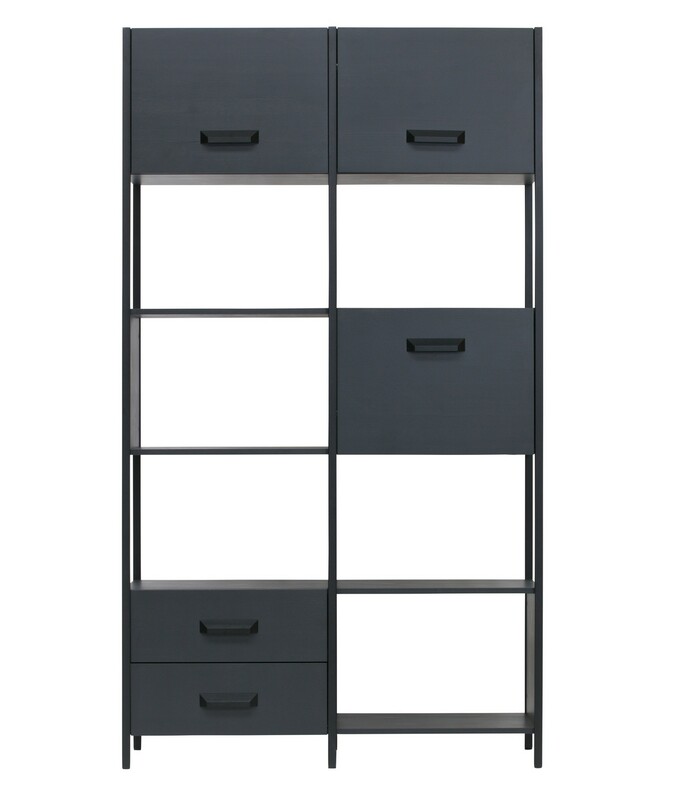 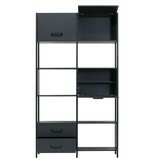 The frame of the cabinet is 2.5x2.5 cm thick and powder-coated in black (same color as the handles). 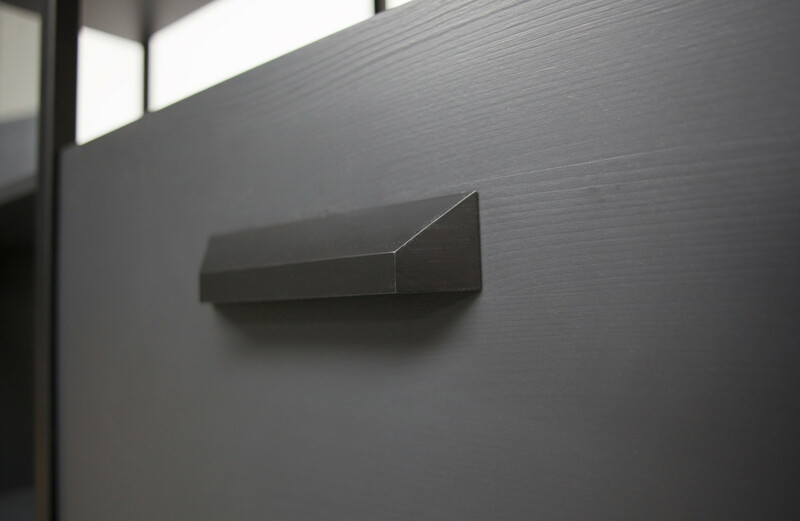 The shelves, drawer fronts and flap doors of this compartment cupboard have just been sprayed a different touch of matte black. 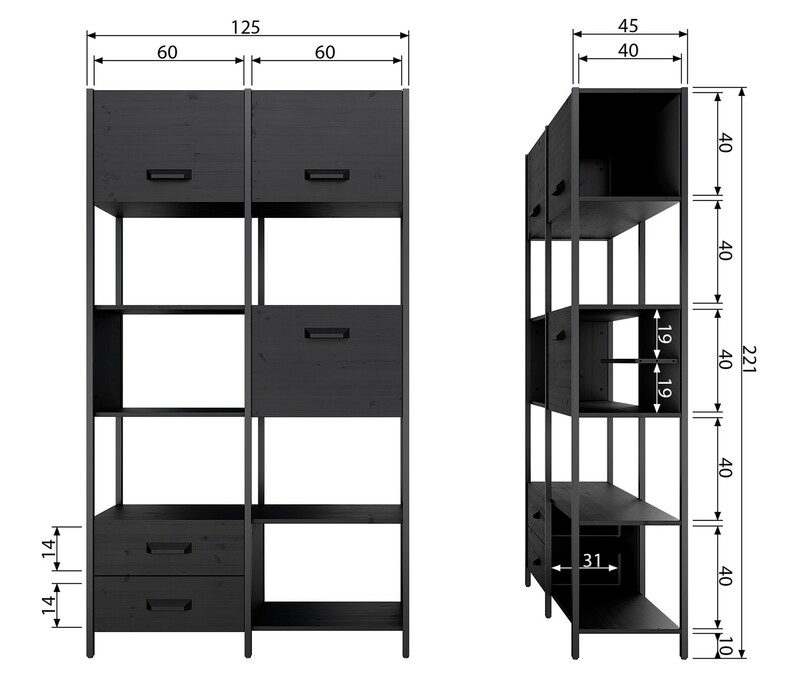 The cupboard requires assembly, but then you really have a very nice cupboard at home! 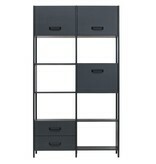 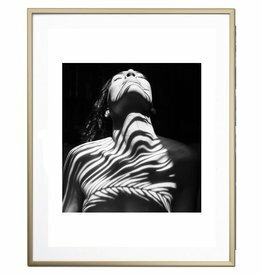 Aluminum metal frame, change frame, matt gold in various sizes. 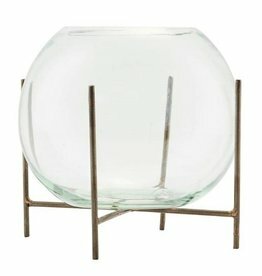 Beautiful metal vase Duo from Nordal.